Read the Booking & Cancellation Policies. Bass Tub can fish anywhere inside or outside the Golden Gate, from the San Mateo to Marin coasts or straight out to the Farallon Islands. Conditions permitting, we often make stops for multiple species while on our sport fishing pot luck trips. Learn what fish are in season now here. 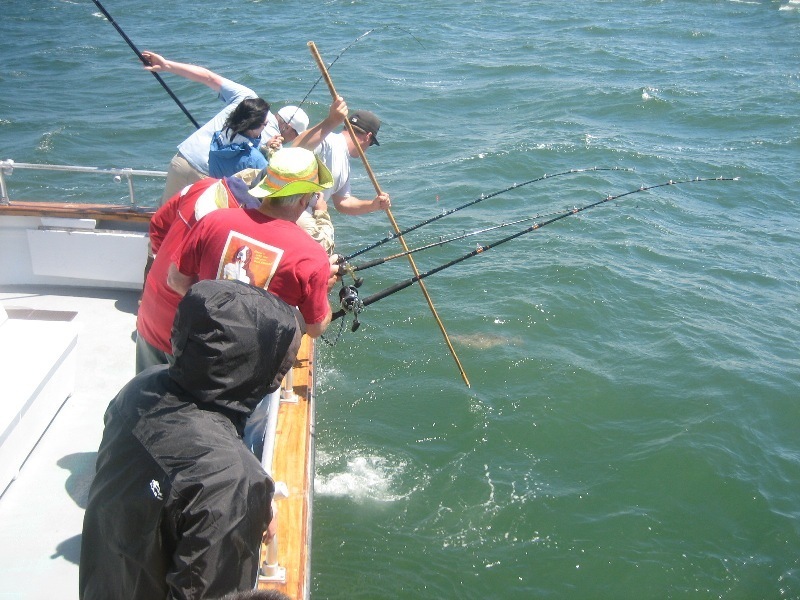 Everyone who comes on a sport fishing trip must purchase a one day fishing license from the CA Department of Fish & Wildlife. You must create a profile in order to purchase your license. Decades of rod designing experience — and careful handcrafted construction in their own Huntington Beach factory — ensures the perfect rod for every saltwater fishing challenge. Izorline premium fishing products are created to provide you with the ultimate in strength, dependability, durability, high abrasion resistance, low stretch, and high quality. *Equipment is not included with fishing tour price. You are welcome to bring your own equipment or rent onboard. See our suggested vendors page for box lunch recommendations.